The Really Heavy Greatcoat is a cartoon strip I created with Nick Miller which either both or one of us occasionally get chance to re-visit. This is one of those occasions. Thanks, Nick! Pony World, a new six-weekly title from Exeter-based LCD Publishing (also publishers of Action GTX), goes on sale 13th April, priced £2.75. “Most young girls love ponies, but for many of them, the dream of owning one themselves is not a realistic ambition," said a spokesperson for the magazine's distributor, Comag. "For all others, learning about them, is as close they will ever get." Aimed at 4-7-year old girls who are mad about ponies, every issue of Pony World will be a 32-page magazine packed full of pony stories and adventures, great horse puzzles, magical pony posters, colour-me-ins, quizzes and lots of other pony activities and fun. (No info on comic strip, but good to see another girls title launching hot on the heels of the launch of Egmont's Monster High). The publishers say Pony World will appeal to both those young girls who may be horse riders or are just simply fascinated by the world of ponies and want to learn more about them. 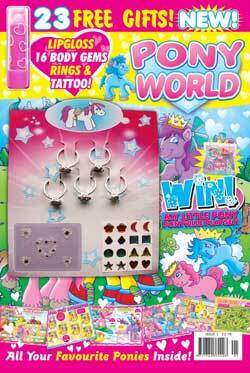 Every issue of Pony World will carry free gifts, with issue No.1 bagged with no less than 23 great goodies, including lipgloss, body gems, rings and tattoo. The launch issue will also feature a competition to win a My Little Pony Ponyville playset. Begun in 2008 by Richmond Clements and Vicky Stonebridge, the Highlands International Comics Expo, Hi-Ex, takes place at the Eden Court Theatre and Cinema complex on the banks of the River Ness in Inverness and, after a break in 2011, Hi-Ex was back for its fourth event over the April Fool's weekend of Saturday 31 March and 1st April 2012. As a helper on one of the sales tables this will be more of a view from "the other side" in the dealers' room than a review of the convention and its panels. The dealers' room was open on the Friday night for setting up and it gave people a chance for a catch-up chat while they set up tables even if co-organiser Vicky Stonebridge's voice was already failing her - she would eventually give up the struggle, turn her ID badge around and write "Sorry I have lost my voice" on it. Saturday morning was cooler but still pleasant and, with the event opening to the public at 11am, this gave the exhibitors a chance to both set up and look around the dealers' room as well as have a chat with some of the guests before the doors officially opened. Illustrator, artdroid and Scotch Cornerer Graeme Neil Reid (above left talking to Judge Burdis of the Hi-Ex Hell-Trek) is an old friend and I was behind his table as 11am brought the start of a very busy couple of hours as comics fans young and old, newbies and seasoned con-goers, streamed into the large room to see what they could find to buy. The first panel of the day was on the subject of current British comics and included Strip Magazine and downthetubes editor John Freeman who, needless to say, had already been into the dealers' room for a chat. The Saturday panels have been well covered by Joe Gordon over on the FPI blog and they included a talk by artists John Higgins about his multi-media concept RazorJack, artists Nigel Dobbyn and Monty Nero's art workshops, the Hi-Ex Charity Auction with all proceeds going to Children 1st (the Scottish equivalent of the NSPCC) plus discussion panels on current British and Irish comics and an exploration of Celtic (Irish and Scottish) comics. The Saturday was so busy in the dealers' room that it wasn't that noticeable when panels started or ended as the number of attendees kept the hall busy whilst the Nasty Nessie Roller Girls provided a little excitement as they whizzed past helped on by artist Gary Erskine's Roller Grrrls concept. Meanwhile the Imperials and a solitary Tusken Raider of the 501st UK Garrison patrolled the venue at a more leisurely pace. Sunday is normally a quieter day but this then allows for more chatting between the guests and exhibitors as the number of attendees in the dealers room is more affected by the panels which included workshops by Chi-Tan and Inko on Manga and Dave Shelton on children's drawing. Indeed considering how busy the two mangaka girls were doing portraits over the weekend, the workshop may have come as something of a break for them. As can be seen above, one of Inko's portraits was of artist Cam Kennedy - more a case of Kenny Yu than Kenny Who. From the old guard of Star Wars artists to the new and Clone Wars artist Tanya Roberts was showing off her new work while artist Colin MacNeil seemed to have managed to do more than his fair share of covers of many of the books and comics that were being sold in the room. Comics education in the UK also came under the spotlight helped by Dr Chris Murray and Philip Vaughan of Dundee University while film maker John Vaughan gave a tongue-in-cheek commentary on the 1970s bee movie, The Swarm, a presentation format that he has been doing at Dublin's Octocon for the last ten years. In fact those of us at the guest/exhibitors meal on the Sunday night soon discovered that John hadn't so much kissed the Blarney Stone as tickled its tonsils! Hi-Ex had a big Irish presence this year from both north and south of the border. From Belfast came artists and writers Andy Luke and Paddy Brown who chatted around the dealers' room as well as taking part in panels while the guys of Londonderry's Uproar Comics did a good trade in their Zombies Hi comics as well as doing zombie portraits of the attendees. From the south, as well as John Vaughan, came writers Maura McHugh and Mike Carroll both of whom had their work recognised in the Eagle Award nominations this year. And all too soon it was over save for one very important fact - the £1907 that Hi-Ex raised for the Children First charity. In these times of austerity when people are counting their money more carefully than ever before, and when so many other comics events are now run to make a profit for their organisers, Vicky Stonebridge and Richmond Clements are to be congratulated for such a enjoyable and family-friendly event that raised so much money for charity. • Vicky Stonebridge and Richmond Clement's own thoughts on how it went on the Hi-Ex website. • Joe Gordon's account of the Saturday's events on the Forbidden Planet International blog. • Georgina Coburn's review on the Northlings blog. • BBC News concentrates on the Star Wars cosplayers. • Hi-Ex attendees can play spot the familiar faces in the background in Breaking News North's video report on the weekend. And finally... Scottish Television's news section not really understanding what was going on - "workshops, art classes and discussion panels with leading comedy writers." 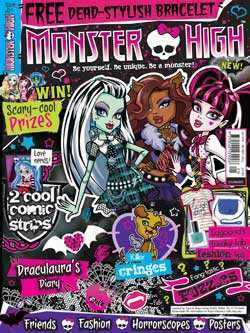 Egmont Magazines has just launched a new monthly title in the UK, Monster High, based on Mattel's doll range. Priced £2.99, the magazine will also be launched internationally in all major retailers. The new title, licensed by Mattel, is aimed at girls between seven and 12 and will be filled with exclusive content, and features on style, school and friendship. Comic strips and fashion and beauty tips will also feature heavily. Monster High is the latest title to feature in the Egmont UK portfolio of properties, with popular titles like Barbie, Disney Princess, Go Girl, Animal Cuties and We Love Pop magazines. Each issue will include a covermount - the launch issue has a bracelet. "Monster High is a bona fide phenomenon and we are extremely excited to welcome this leading girls brand into our portfolio," commented Debbie Cook, Director of Magazines at Egmont UK. "Our partnership with Mattel reaffirms Egmont's position as the ideal magazine partner for brands looking to communicate with the pre-teen audience." Helena Mansell-Stopher, Senior Licensing Manager at Mattel UK says: "We look forward to partnering with Egmont as we continue to deepen consumer engagement across multiple touch-points for the Monster High brand. With specialism in the primary girls and pre-teen sector, Egmont is the ideal partner for this exciting brand extension." With more than 140 million web views, 75,000 members of the Monster High club and over five million dolls sold, Monster High is now the second best-selling fashion doll brand in the UK and US. Indie comic creator Davey Candlish has announced the release of a second volume of Jikan stories, a character featured in Paragon comic. "It looks even better than Book One (as if that's possible! )," he enthuses. 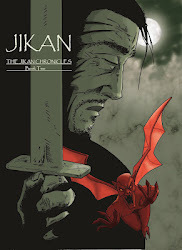 Featuring nearly 90 pages of time travelling, demon hunting samurai action featuring some of the best small press talent around for only £5, if includes scripts by Dirk Van Dom, Matt McLaughlin, Chris Cronin and Mark Howard and the artistic talents of El Chivo, Chris Askham, Dustin Parr and Davey Candlish. 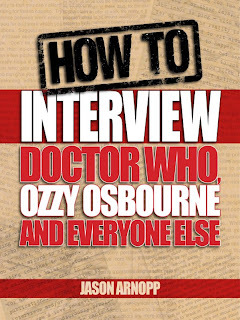 This isn't one of those 'how to' books written by someone who 'never has'. Jason Arnopp has written for magazines such as Heat, Doctor Who Magazine and Kerrang!. It's funny. In places, at least. Arnopp has got himself into various scrapes and hi-jinks during his career (particularly, it seems, as a music journalist), some of which he relays here. Because Arnopp's prose is crisp and clean. That makes HTIDWOOSAEE very readable. If you don't, I'll come round and kill your goats. Not really. But, I just thought I'd write something shocking to make sure you were paying attention. I was going to write, '...kill your pets' but thought I'd offend a multitude of pet-owners. No doubt, the National Union of Farmers will be on the blower to downthetubes forthwith. Because you're bound to learn something. I did, and I've been interviewing people for about a decade (and been paid to do so since 2006). And your extra-special bonus reason: Arnopp doesn't neglect the tech'. Not only does he talk about the craft of interviewing (the different types of questions there are; how to draw recalcitrant interviewees out...) he also talks about the kit. Which is particularly useful for a technical dullard like me. 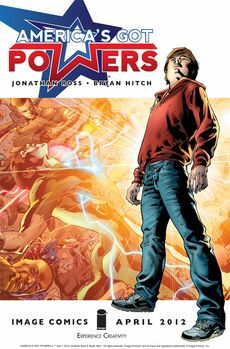 Jonathan Ross and Bryan Hitch will be launching their new comic America's Got Powers (published by Image Comics) at the Forbidden Planet London Megastore on Saturday 14th April from 1 – 2pm. Welcome to America's Got Powers!It's the biggest TV show on Earth, where the chance to win fame, fortune and get laid are dangled in front of a generation of super-powered teens. All they have to do is Win. Who is the fastest, the strongest or the greatest? Who survives? Young Tommy Watt's dreams of being the greatest hero of them all might just be shattered when the greatest show on the planet begins to reveal it's dark heart. Needing no introduction, Jonathan Ross is not only a national celebrity but a lifelong comics fan - who made his writing debut with the fantastic Turf! Bryan Hitch, who I've known back since his early days at Marvel UK, should need no intriduction to DTT readers either, but his credits include Ultimates, Fantastic Four, Stormwatch and The Authority. He also worked as a concept artist for the 2005 relaunch of Doctor Who for the BBC. The third and concluding volume of Garen Ewing's The Rainbow Orchid will be published tomorrow, Monday 2 April 2012 by Egmont UK. Marking ten years since the European ligne claire style mystery began in black and white in the small press BAM!, this third volume in The Adventures Of Julius Chancer has been long awaited and by Garen's own admission a little late due to "a bit of illness, the priority of paying work, and also the rather more pleasant interruption of the birth of my daughter in 2011." The original version of the story and its artwork has gone through various stages over those ten years since BAM! and Garen explains some of the differences and his reason behind the changes on The Rainbow Orchid blog. 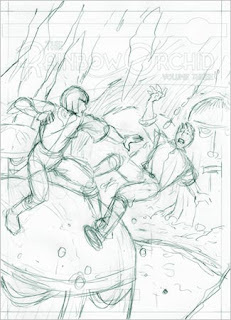 This also includes a few brief images from the new book and roughs of the cover and some other pages. With the third volume available Garen will be promoting it at various UK comics conventions this year. He is current scheduled to be at DemonCon in Maidstone on 22 April, the Bristol Comic Expo on 12-13 May and Thoughtbubble in Leeds on 17-18 November 2012. 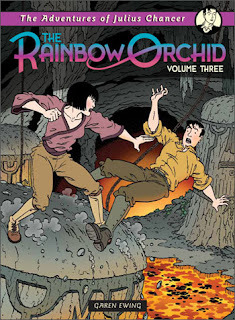 There are more details of all The Rainbow Orchid books on Garen's Rainbow Orchid website which includes a shop through which you can order signed and sketched copies of the books.